Fire-Rated: Carries both UL and CUL 11/2 hour, Class B fire rating, as well as the Warnock Hersey Label for three-hour noncombustible floor/ceiling systems. Certified 250 Degree Temperature Rise Protection: Milcor UFR Doors are insulated with super-efficient insulation to limit temperature rise after 30 minutes to only 250 degrees F. This UL temperature rise is the best in the business. 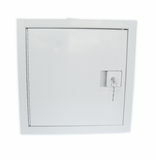 Insulation Offers True Safety: Conventional uninsulated access doors can assist spontaneous ignition of anything near the door when the temperature on the protected side of an door exceeds 600 degrees F, endangering people. 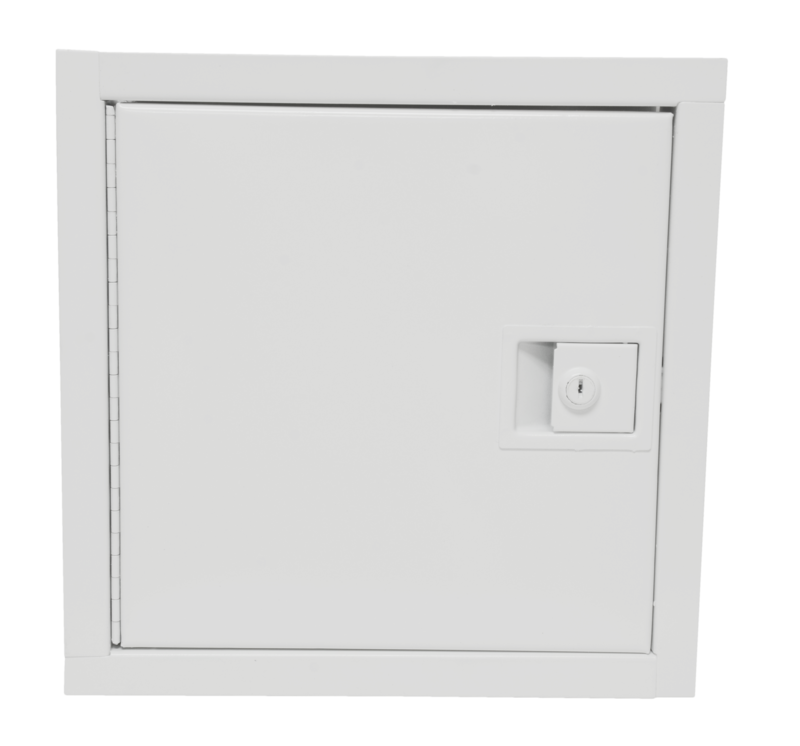 Reduced Sound Transmission: The sandwich-type insulated door panel provides a dual benefit of reduction in sound transmission through the access door. 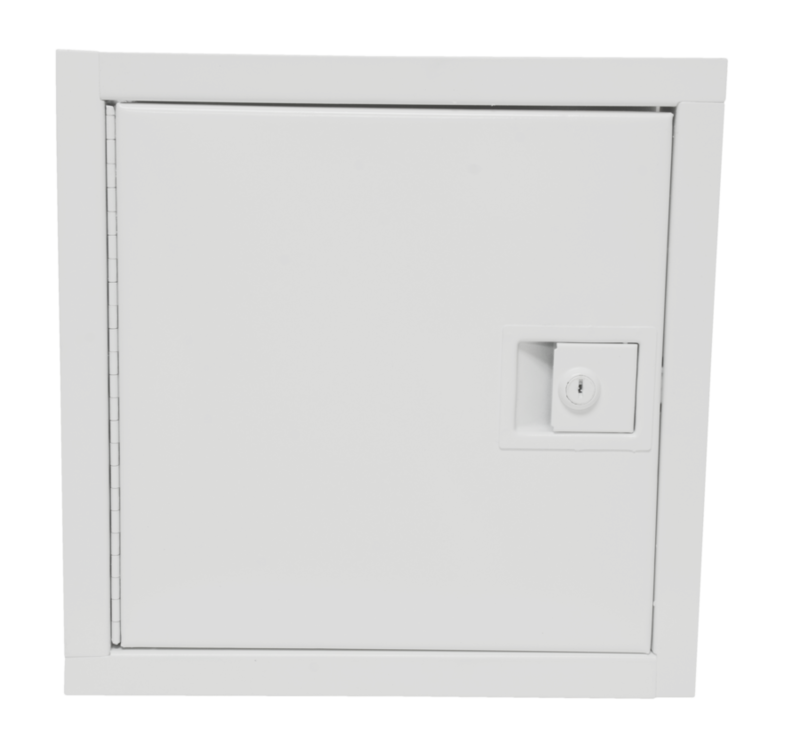 Automatic Panel Closer: A strong coil spring makes the door self-closing and self-latching. The convenient snap latch can be left locked or unlocked without affecting closer seal. Choice of Finishes: Available in brilliant white and stainless steel. Optional colors include grey powder coated steel, gold sand and jet black.